Demand for the anniversary boot is stronger than at any other time in the 49 previous years. Yes, boot really is 50 years old, but it remains as young as ever. boot Düsseldorf’s success story of the boot begin on a foggy day on Fischerstraße in Düsseldorf in November 1969. Over the course of six exhibition days, 34,000 visitors flock into the hall and boot is launched. 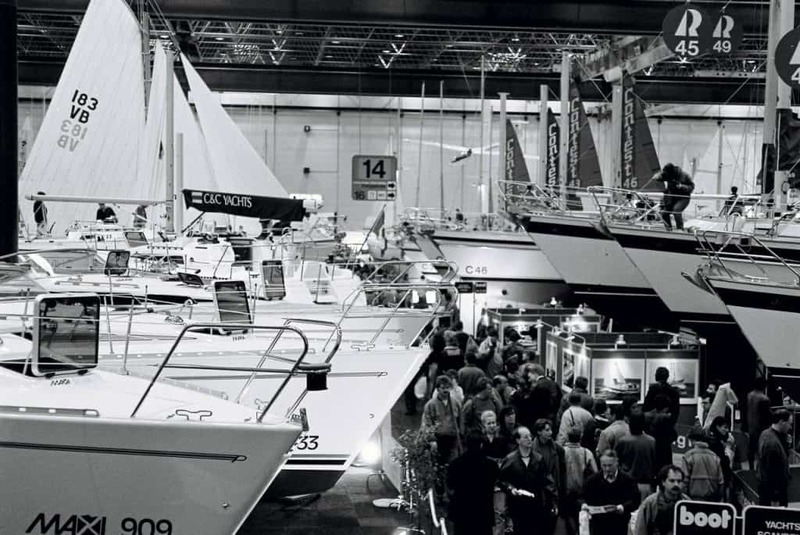 Trade fair manager Kurt Schoop landed a real coup by getting experienced boat journalist Horst Schlichting on board and founding the first inland boat trade fair. All of 116 exhibitors from seven nations participated. In those days, seeing boats in a trade fair hall was truly sensational. And only one year later, 183 companies from 25 countries participated, spread out over an exhibition space twice as big as the year before. The manufacturers’ demands also increased drastically in the following years. In 1972, boot moved into the new, ultramodern exhibition centre in the North of Düsseldorf, close to the airport. Since then, boot has taken place every January. This makes it the first event of the year and the gateway trade fair to the new season. In 1972, the duration of the trade fair is extended to nine days, meaning it now spans two weekends, and exhibitors and visitors alike show the utmost respect for this change. Spread out over 50,000 square metres of exhibition space, 307 exhibiting companies from 41 countries welcome 85,751 (!) visitors at their booths. For the first time, a large regatta pool is built for the sailors. Children and beginners are able to test sailing in the hall. 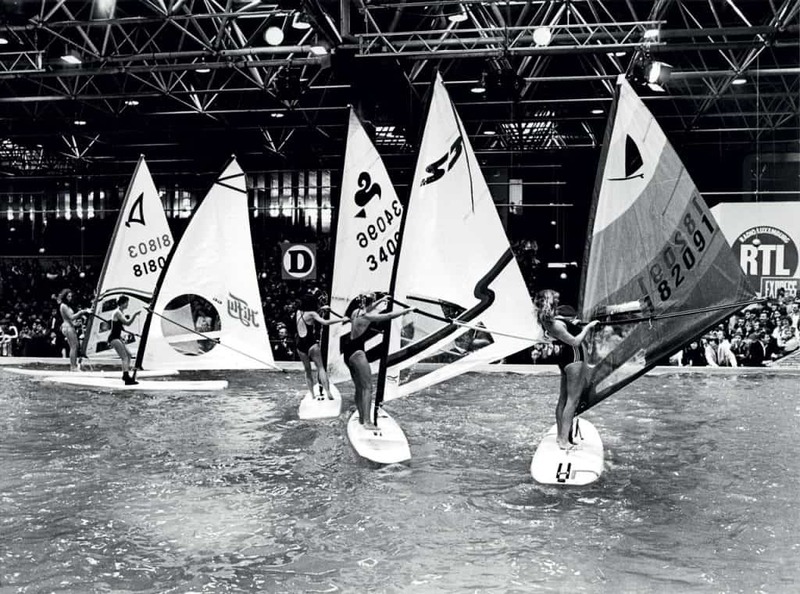 boot proves to be a real trendsetter and presents the first surfboards at the trade fair in 1973. After ten successful boot years, a rapid increase in visitor numbers and hall space, boot catches on to diving’s growing popularity. In the new millennium, boot becomes immensely athletic: The Olympic Games in Sydney are approaching, and boot can’t wait. An Olympic centre is created in cooperation with the plastics industry, which supplies the material for the construction of sailing and rowing boats. The star among the yachts is a Jongert motor glider with a folding keel that is 34 metres long and weighs 125 tons. ‘Catwalk’, which travels to Düsseldorf in 2006, is the largest yacht ever to be exhibited in a hall. The sleek kitten measures 41 metres and proves to be a true media attraction. For the first time, classic and antique treasures are shown at boot. The Classic Forum is first held in Düsseldorf in 2007. The vintage boats offer a gorgeous contrast to the shiny, modern yachts. boot gives a panoramic view: ‘Experience 360° of watersports’ is the new trade fair theme in 2010.